FREE! Magazine » Finland is in the game! Not many years ago, videogames were still seen as children’s play, with the media usually more focused on polemical issues like the impact of violent content on youngster’s behaviours. Luckily, nowadays the trend seems to be reverted, with more adults watching the videogames market not only as an entertaining, but also as a nice way of making a profitable business. Obviously Finland, a country that boasts its love for new technologies as a national trademark, could not get impartial to the juicy fruit that videogames industry represent nowadays. Finnish game industry is doubling the average growth of its international counterparts, a situation that continues evolving. The industry doubled its turnover in 2007 and places itself firmly in a steep growth curve. The country counts with around 60 companies listed as developers or content providers, adding a similar figure for companies focused on consulting, content creation and other tasks related to videogames. Games in Finland are not only developed for well-established platforms like video consoles or personal computers, but also for arising markets like mobile phones or online social networks. Espoo is a city located just close to the capital Helsinki. And no, it is not that the American actor has not bought a house there (yet). Espoo is the location for the headquarters of Remedy Entertainment, the “fathers” of Max Payne character. 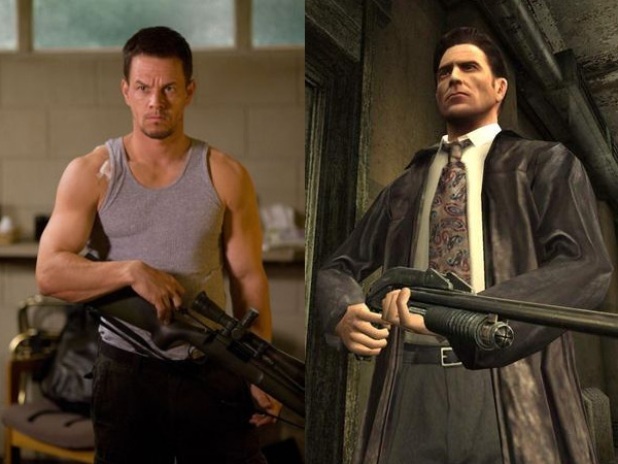 Probably some of you have watched in the cinemas this year the last successful Wahlberg’s performance in the role of Max Payne but maybe you did not know that the character was born in Finland, with a videogame released in 2001 that quickly caught the attention of millions of fans, and developed into a sequel: “Max Payne: The Fall of Max Payne”. The saga is the most successful one in Finnish game industry, having sold so far more than 8 million copies for Pc, PS2 and Xbox. “We are thrilled with how well Max Payne has done; a number one game and now a number one movie! The commercial and critical success of Max Payne is a sum of many factors. In the end, it comes down to entertaining a lot of people really well” says Matias Myllyrinne, business director at Remedy Entertainment. The company is currently developing a new title: “Alan Wake”, a psychological action thriller that will try to continue the path of success of the company dealing with the new generation of consoles and PC, whose release in partnership with the giant Microsoft games supposes another milestone in the history of the company: “There is no room for complacency and we remain hungry to outdo our past achievements; “Alan Wake” must define and establish the thriller genre in games. With Microsoft there is a great fit of complementary talents and a shared passion to create something awesome. Their wide resources and strong and dedicated team allow us to focus on the making Alan Wake the game it deserves to be and to continue our track record of success. The surroundings of Pasila station, a district near Helsinki centre, do not look exactly flamboyant. Students’ dorms and ugly brick buildings shape this surrealistic landscape. Hidden in one of the buildings are the offices of RedLynx, another top Finnish games developer, creators of the popular saga “Pathway to Glory” and also with a broad expertise developing products for handheld consoles, mobile phones and cross-media entertainment. I even had a job interview them some time ago; I remember that while I was worried removing my earring and my tongue piercing to look more “professional”, I discovered when arriving to their premises that my interviewer had not one but several earrings in his ears. That gives you an idea about the lack of importance that appearances have for games developers and testers. Usually the atmosphere is young and cheerful, posters decorate the walls here and there and the dress code is totally casual, jeans and the t-shirt of your favourite rock band does perfectly the trick. Finnish Game industry is a relatively very young industry in Finland, with the first companies being born in 1994-1995, and most of the employees have not even turned 30. The message seems clear, what the game industry wants is freshness of ideas, not expensive suits at the office. And luckily, these companies are just the top of the iceberg when accounting successful stories in Finnish game industry. 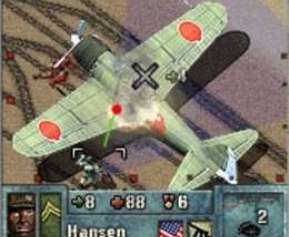 Many others have been able to achieve considerable success publishing games for video consoles and PC like Bugbear, a company mainly focused on driving games, and their splendid “FlatOut” saga, Housemarque with their “Super Stardust”, Recoil and their emotional drama “Earth no More” or Frozenbyte with the revolutionary shooter saga “Shadowgrounds”. The good thing of creating videogames is that you do not even need a fancy office to put the idea together. Kimmo Vihola is one of the founders of MountainSheep, one small but ambitious Finnish company that recently released the title Super Hind for the portable video console Sony PSP. Just in his mid twenties, Kimmo looks like any other young Finnish “nerdy” student with passion for computers and videogames. Together with some other young partners, he was able to set a game developing company without the need to rent an own office space “We can work from home and thanks to Internet we can have the best collaborators in different fields from wherever country they are; for being in contact they just need a fast Internet connection. Outsourcing is great to reduce expenses, although our business is not so profitable yet” says Kimmo. Thanks to the advance of new technologies, nowadays you do not need to carry 5 kilograms of gadgets in order to play your favourite games. A mobile phone in your pocket is all you need for enjoying your favourite titles. Game industry has evolved trying to find new platforms, and currently, with mobile phones that look more like mini-computers, you have no excuse to enjoy playing videogames whenever wherever. 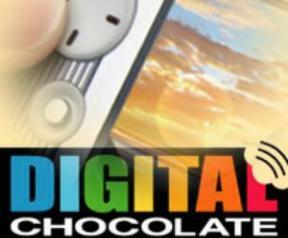 One of the top developers of games for mobile phones is Digital Chocolate, a Californian based company that bought the Finnish Sumea a few years ago. Behind such a sweet name, it is hidden one little colossus of the Finnish videogames scene, with headquarters at Ruoholahti in Helsinki, few steps away from the Old Factory Cable. The atmosphere there is all what you could expect, posters hanging on every wall, a relaxing room where to play “Guitar Hero”, coffee machines prominently placed here and there, and a youthful and healthy international environment. In fact, game industry is one of the most open-minded to hire foreign workers in Finland. Arja Martikainen explains a bit more about the company´s features: “Digital Chocolate has a portfolio of approximately 120 titles. Each month the studios are producing approximately four completely new title or sequel versions of an old title and at the moment there are 23 nationalities working at the Helsinki office. Official working languages are usually both Finnish and English, or even only English; as well, localization of videogames in the most important targeted languages for release takes place inside the Finnish office, reducing outsourcing expenses and turning gaming industry into a very international environment where foreign and native brains can exchange ideas and work in harmony on the pursue of common goals. Although many of the most important developers are located in the big capital area of Finland, some other cities have also an important role in the native game industry, especially the ones that count with universities, an excellent source to feed the firms with new young talented employees. For example, in the heart of Tampere you can find the main and trendily decorated office of Universomo, another developer for mobile phones that is living a golden era after its acquisition by the American giant THQ Wireless. This subsidiary relation has opened the doors to mainstream Hollywood adaptations into mobile phone games with titles such as 300 or Indiana Jones and the Kingdom of the Crystal Skull. Another big success in the recent history of Finnish gaming and entertainment is the one achieved by Sulake Corporation Inc, founded by Aapo Kyrölä and Sampo Karjalainen, and well known overall due to “Habbo Hotel”, a virtual world and online community that instantly gained the hearts of the young users, with more than 100 million registered since their creation in 2000 and 10 million unique visitors every month. Following the trend, another virtual community that is gaining popularity step by step is XIHA Life; co-founded by Jani Penttinen, former game developer for the American giant Electronic Arts, together with his Chinese wife. XIHA offers the chance to meet people from all over the world and much more; users can upload unlimited amount of pictures, discover new music, and of course games are an important part of the fun; as Jani explains: “In fact the idea came mostly from my wife, Wen. The biggest reason for starting XIHA Life was the fact that we had a multilingual circle of friends where people were speaking Chinese, English and even Finnish, but not everyone could communicate with each other. I worked in Las Vegas for Westwood Studios for a few years, until EA closed the studio. After that I still continued to work as a consultant for EA for many of their top projects, while working on my own casual games company, Jollygood Games. I have good connections to the casual games industry from those days, and for that reason games are indeed the main source of income for XIHA”. Finnish game industry’s key to success has also something to do with the economical support of the government, making things easier when affording the cost of the projects. Opposite to other European countries, Finnish public institutions strongly support the native game industry. Funding per capita in 2007 was 1.20 EUR in Finland, sixty times higher than the average in other EU countries that was just 0.02 EUR. Finnish government has learnt well the lesson, giving value to the expertise of their native companies and realizing that videogames are just much more than a thing to play with.